At Function Jigsaw, our goal is return you to your chosen activities as quickly as we can and in the best shape possible. Whatever those activities may be, we want to give you the greatest chance of performing to the best of your ability. For the elite sportsmen and women that we are delighted to have as clients, that means a professional level. We are currently working with top-level athletes in sports from rugby to football and snowboarding to motor-cross. Not only does that involve treating, rehabbing and preventing injuries but putting in programmes so clubs and organisations can get the best out of their athletes. Not everyone can be a professional sportsman or woman – but that doesn’t mean they are any less passionate about being the best they can be in their chosen field. We recognise that, and our goal is to provide professional treatment, service and attitude to help you recover from injury and help you find a safe and successful return to your chosen activity whether that be the gym, a game of squash, a kick-around at five-a-side or even walking the dog. We know that a handful of treatments cannot fix every individual and every injury, so we get to the root of your problem and treat it in a way that will suit you and your body – your personal jigsaw. We will also give you advice on ways to stop injuries reoccurring. When you walk out of the door, we’ll keep in touch, whether you are an elite sportsperson – or not. 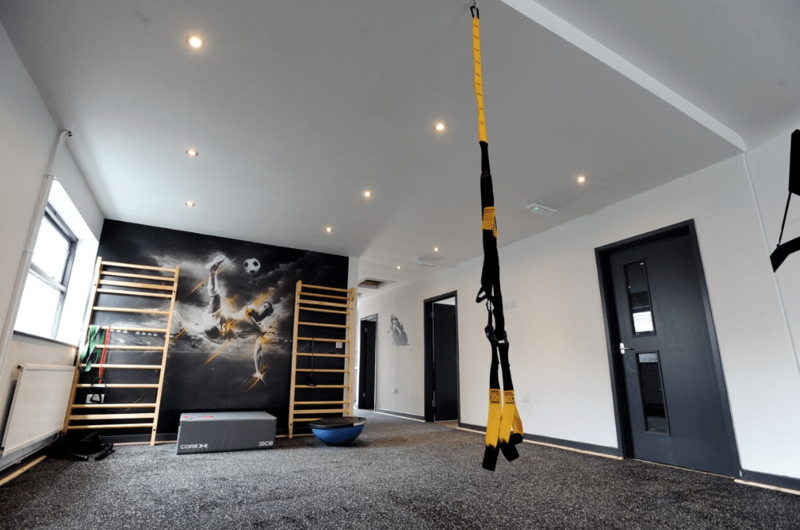 We have dedicated and enthusiastic staff who are committed to our ethos and our state-of-the-art clinic has treatment rooms, a hydro bath, showers and an on-site gym full of equipment so we can take your through the steps that will get you better – and keep you injury free.